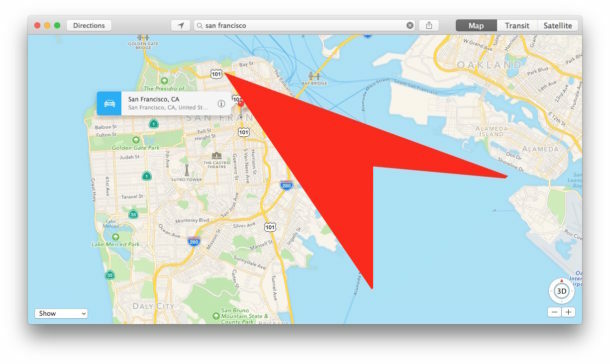 Spotlight, Safari, Siri, Maps, and other apps on the Mac use your location during searches to help suggest particular activity. For example, if you’re searching in Spotlight for “coffee” on the Mac, you may find that nearby coffee shops are displayed, allowing you to search local listings directly from Spotlight search in Mac OS. These are known as location-based suggestions. Using location for search suggestions is obviously useful for many reasons, but some users may rather not have their location accessed for suggesting various search items and activities, thus we’ll show you how to disable location-based suggestions on the Mac (or turn the feature on if you do want access to this ability). This is specific to macOS 10.12 and later, though earlier versions of Mac OS X have a similar option available in the same section, albeit with different wording. Nonetheless you can still disable the Spotlight location suggestions no earlier Macs as well. If you disabled the location based suggestions feature, Mac OS will no longer default to using your current location to offer up suggestions for search terms in Spotlight, Siri, Safari, Maps, and other apps. 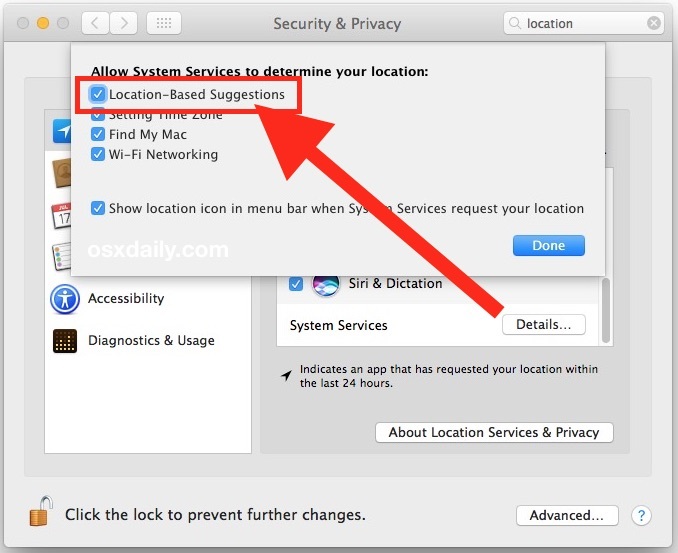 * In macOS 10.12 and newer the location setting is labeled as “Location-Based Suggestions” whereas in earlier versions of Mac OS X the setting is more specific to Safari and Spotlight and is labeled as “Safari & Spotlight Suggestions”. 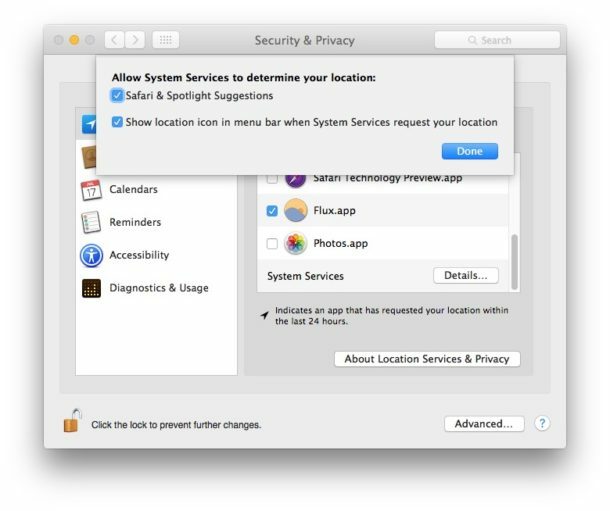 While you’re in the settings panel you might also want to enable the Location Use icon which sits in the menu bar of Mac OS when your location is actively being used, which can reveal what app is using the current location as well, both useful abilities. Remember, if you disable this feature, your search queries from the Mac with Spotlight, Safari, Siri, etc, will not be able to suggest nearby locations for matches, a feature that most people enjoy and appreciate having. Whether or not you want to toggle the feature off or on likely depends on your usage habits and privacy considerations. I like the location suggestions so I leave them on. Gives where to go. Stores. Food. Etc. movies too. Useful. How can I input a fixed location for my home? I use a wired connection and location services depend upon wifi?